Everyone knows that nothing beats a Vitamix when creating smoothies, salsas, spreads, and, well, just about anything else! 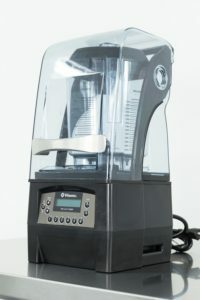 But did you know that Vitamix also carries Ice Cream Agitator machines called the Mix’n Machines. Perfect for mixing candy bits with ice cream, creamy milkshakes, and more, this product will perform perfectly every time! 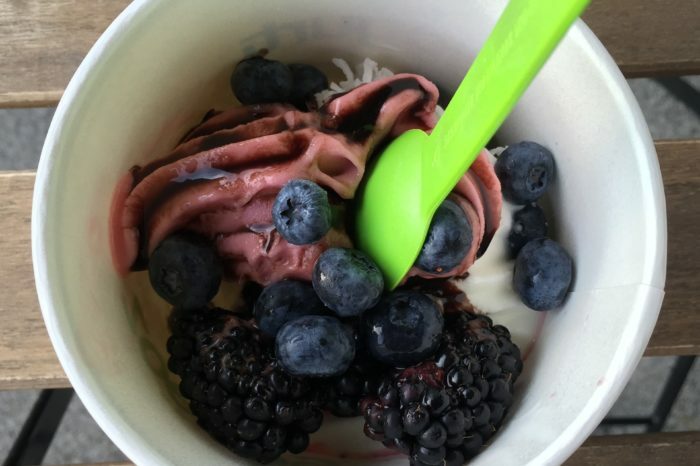 Vitamix engineers their products for outstanding durability and convenience, making it a favorite in the frozen treat market. Each machine includes a Mix’n Machine with 10 removable/reusable agitators. Like other Vitamix products, this machine comes with a standard 3-Year Limited Warranty on parts and labor on the full unit. I Have a Problem with my Vitamix! Contact Vitamix’s Technical Service Department at 1-800-886-5235, Monday-Friday from 8:00am-7:00pm. If you call after hours, your call will be handled by a properly trained Third Party Call Center. To expedite the process have your serial number ready. All cartons returned must be marked with the return authorization number. If you want to return the item, it must be in the original carton and unopened. No returns will be accepted after 6 months of ship date. Custom ordered merchandise (when the product is built to a buyer’s specifications) may not be returned. Returned goods must be shipped to Vitamix prepaid and will be credited at invoice less 20% restocking charge. We hope this helps you if you ever have a problem with your Vitamix product. Of course we are more than happy to assist you here at Burkett as well with any other inquiries or to assist you with contacting Vitamix. No one needs to remind you or your customers how HOT summertime can be- especially this year. You definitely are not going to see hot soups like Cream of Asparagus and Minestrone being ordered like hotcakes this time of year. Instead, give your customers a more refreshing soup, like Gazpacho. In honor of July’s Product Palooza, it’s only right to give you a recipe for Gazpacho that requires the use of a Vitamix Blender (although you can use any blender to make this of course). Place all ingredients in a Vitamix Vita-Prep 3 Food Blender Container in the order listed and secure lid. Select Variable 1. Turn machine on and slowly increase speed to Variable 5. Stop machine and season soup. Serve in a chilled Rolled Edge Cup and garnish with a cucumber spear, chopped bell peppers and dollop of sour cream. What Kind of Blender Does Starbucks Use? For years, Starbucks used a Blendtec blender, but the coffee giant eventually switched over to Vitamix, which created a blender specifically for Starbucks’ needs. Today, you’ll see the 48-ounce Vitamix Blending Station Advance, better known as “The Quiet One,” in nearly every Starbucks you go to around the world. The quietest machine on the market, it is the ultimate blender with unparalleled sound reduction, as well as exceptional beverage blending. These features improved speed of service with users rarely have to reblend a drink. The Quiet One’s smart product design means that because of its advanced vibration dampening technology, this blender it is up to 18 decibels quieter than the competition. This is 4 times quieter than the competition and creates a much more enjoyable atmosphere for customers, whether waiting in line or enjoying coffee and company at a table. The magnetically designed floating sound enclosure is dramatically easier to clean and disassemble since there are no screws involved. Air management design for reduced noise, improved reliability, and reduced down time. The blending container is also uniquely designed for faster, smoother pouring and a long lasting blade life. What does this mean Vitamix customers, whether at Starbucks or anywhere else? Time and cost savings, along with improved customer experience. The container’s double-sealed bearing also provides improved wash-ability, extending life of the blade assembly. Also, superior keypad sealing and one piece circuit board provide improved reliability. 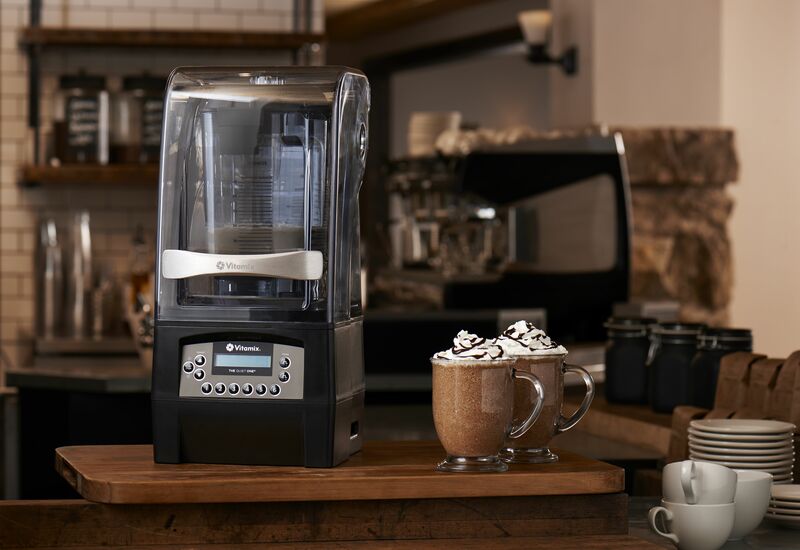 It was made for Starbucks but you can now bring it to your own coffeeshop, restaurant, bar, or even you home kitchen. Shop our complete selection of Vitamix blenders now and get free same-day shipping on all Vitamix blender, including the marvel of engineering you see in the video below. Ensure your Vitamix Blender continues to perform for years to come by regularly checking on the functionality of the main components of your machine. Like with any blender, three parts of the Vitamix are most susceptible to going bad if not properly cared for. Washer failure or oil leaking. Seal failure/visibile seal indents due to worn socket. Seal gone / visible ball bearings. Rounded teeth due to removing container while running. Tearing at container posts due to banging on counter or improper cleaning of centering pad (caused by placing pad in dishwasher or using improper cleaning or sanitizing products). Worn teeth due to removing container while running. Worn grooves due to placing container on motor base without centering pad or touching container while machine is running. Cracking at setscrew due to overtightened screw or a foreign object in the container. Drive socket or blade assembly needs to be replaced. Just checking these three components on a regular bases and making sure to properly use your Vitamix Blender will extend its performance. If you need to replace any of these parts, please contact our Sales Consultants for assistance. 1-800-828-8564. A Vitamix Blender is not just for blending and smoothing soups, juices, and salsa. Get really creative for your customers with this delectable recipe for Zucchini Pancakes. 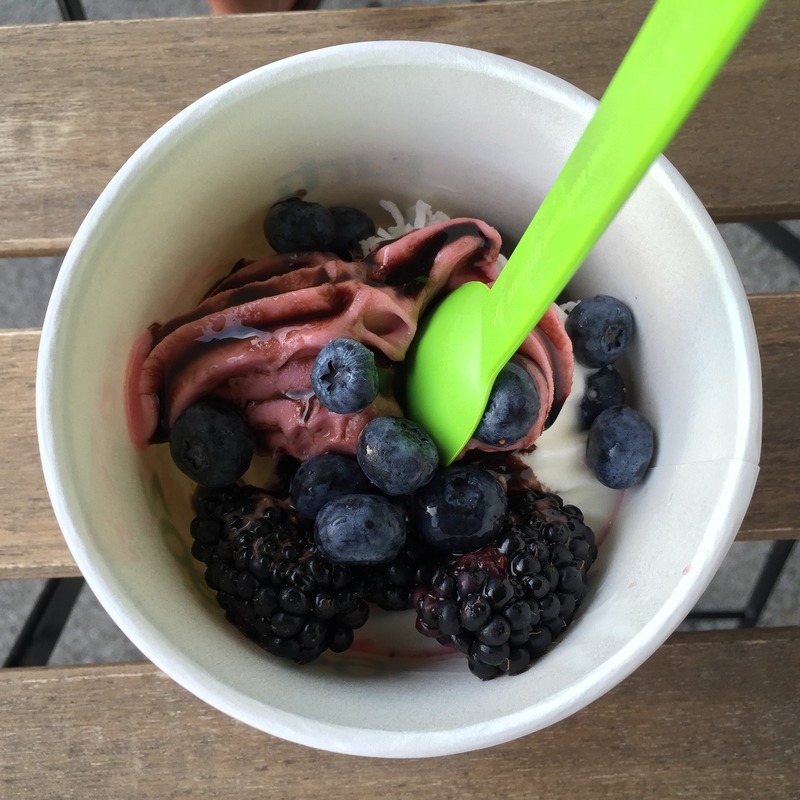 It’s easy to make and a healthy alternative that your customers will love. Place milk, zucchini, egg and the spices into your Vitamix Food Blender. Select Variable 1. Turn machine on and slowly increase speed to Variable 4 or 5. Blend 15-20 seconds. Remove lid plug and add flour and baking powder through lid opening. Replace lid plug. Blend 15-20 seconds or until mixed. When you spend good money for a reliable blender like a Vitamix Blender, taking special care of it will ensure that it lasts as long as possible. NEVER BANG THE CONTAINER… Do not bang the container against a surface as this will cause the sharp cracks in the bottom of the container to rip the container posts. TURN OFF THE MACHINE BEFORE REMOVING CONTAINER… Do not remove or place the container on the base while the machine is running. This will wear down the blade assembly and damage the drive socket. DO NOT SHAKE OR RATTLE MACHINE WHILE IN USE… We’ve all done it- shake the blender machine to make the contents blend smoother and faster. However, doing this is a big NO-NO! Doing so will damage the blade assembly and the ‘teeth’ on the drive socket. DO NOT PLACE FOREIGN ITEMS IN THE CONTAINER WHILE BLENDING… This can cause the blade to chip and lead to personal injury. NEVER OVERFILL THE CONTAINER… Overfilling sets the off the Thermal Protector and your machine will shut off. Turn the power OFF, take the container off of the base and wait for the motor to cool down. Your mixture may be too thick or you may process the ingredients too long at a LOW speed setting. If you detect a burning odor, add more liquid to your mixture or lessen the load. You should also check the condition of your container bearing assembly. Looking for a tasty appetizer to put on your menu? With the Vita-Prep Food Blending machine you’l be able to whip up this delicious starter dish for your restaurant. Enjoy! Blend for 15 seconds. Remove the lid plug. Add artichokes through the lid plug opening. Serve with chips, pita bread, or pumpernickel bread. When we think of high volume, premium blenders, we think Vitamix. But which one is right for you? Commercial food blenders are categorized into two different types: beverage blenders and food preparation blenders. Beverage blenders make smoothies, frappés, and frozen cocktails silky and pulverizes ingredients quickly. Food prep blenders provide power and performance anywhere from delicate chopping to blending coarse ingredients. 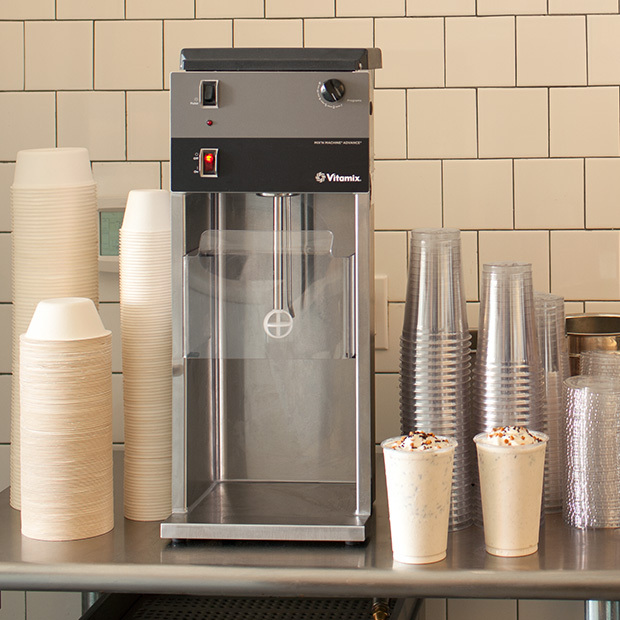 Whatever your food service needs, Vitamix has a blender that will meet the demands of your business with easy to use controls, durability, and flexibility. Use the table below to find a list of guidelines based on usage to help you select the right Vitamix machine for your business. With options such as automatic shut-off, optimized programs, and built-in timers, Burkett Restaurant Equipment carries the right Vitamix machine to suit your business. 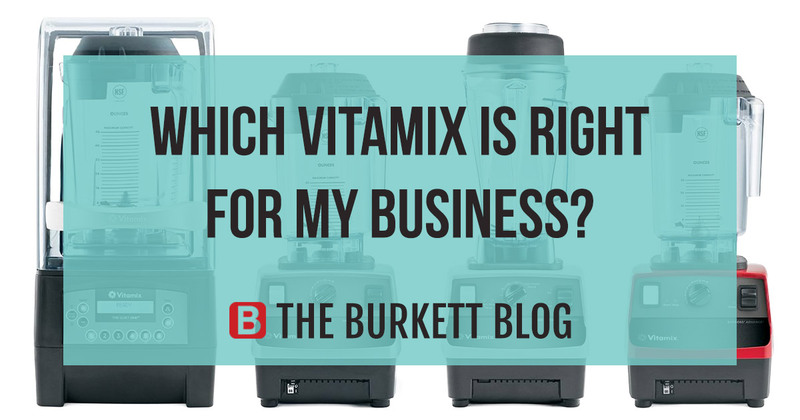 Visit the Vitamix page on the Burkett website for more information, fast purchases and shipping, or call 1-855-224-2079 to speak with a sales representative. After choosing the right machine, consider additional containers for your Vitamix blender to cut down on serving time between batches. Multiple containers allow for processing multiple batches of soups, smoothies, frozen cocktails, and purées leading to shorter prep times and fast service. Find the right container for your machine on the Burkett website here!